McALLEN — A pair of Mexican nationals each pleaded guilty to federal fraud charges for their role in a scheme to provide fake identification documents in exchange for cash, court documents show. Standing before U.S. District Judge Micaela Alvarez, Aidee Elizabeth Vazquez-Gomez and Jesus Manuel Renteria-Zavala each pleaded guilty to one count of fraud with identification documents in connection with a federal investigation that led to the arrest of the pair from Mexico. A month after they each pleaded not guilty to the fraud charges, Vazquez-Gomez and Renteria-Zavala agreed to reverse course and plead true to their respective charge in exchange for a reduced offense level at sentencing, court records show. On March 6, an undercover agent with the U.S. Department of Homeland Security Investigations negotiated with Vazquez-Gomez to pay $160 for a set of fake identification documents, a Texas ID card and a social security card, according to the complaint filed against the pair. The following day, the undercover agent met with Vazquez-Gomez in Pharr, where the agent gave the woman a down payment of $80 for the fake documents and agreed to pay the other half when he received them. During the meeting, Vazquez-Gomez told the undercover agent that she was open to future deals with him. About a month later, the agent worked out another deal with Vazquez-Gomez for an additional two sets of fraudulent documents. “ Each set consisted of one fraudulent (Texas) Identification Card and one fraudulent Social Security Card, for $160 per set,” the complaint stated. On April 10, Vazquez-Gomez met with the agent again in Pharr and was given $160 as a down payment with the remaining $160 to be paid once she provided the sets of fake documents. Once again, after her transaction was complete with the agent, she told him she could provide additional documents, including permanent resident cards and a fake Texas state driver’s license for the same $160 price. In September, the undercover agent worked out another arrangement with Vazquez-Gomez and met with her in San Juan, where he asked for two more sets of fraudulent documents, which included permanent resident cards and social security cards for $320. On that day, Sept. 5, HSI agents arrested Renteria-Zavala, who later admitted to manufacturing the fraudulent documents that ended up in the hands of the undercover agent. The 36-year-old man said he was paid $80 per set, explaining that the 30-year-old woman would keep $160 for herself. 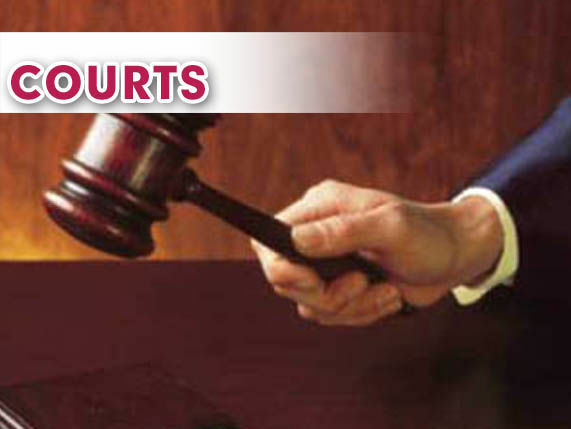 The pair, who remain in custody, are each scheduled for their sentencing hearing on Jan. 24, 2019, court notes show.